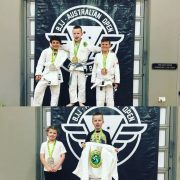 Well done to SPMA Concord student Axl Howie on his double gold medals at the Byron Bay Australian BJJ Open last Saturday on 11th June! He won 2 matches in gi and 2 matches in no gi and won all of them. Big congrats! 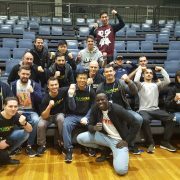 Big congrats to SPMA Concord students Philip Kim and Nathan Maitre on their MMA wins on 3rd June at Urban Fight Night - MMA promotion in Liverpool. Phil won by TKO in the first round and Nathan by decision. Check out their personal pages for video and more photos of their matches. Big thank you to cornermen Greg Criticos, Nurbolat Kuandyk and Marc Cuscino. And thank you to all the SPMA Concord students, family and friends that attended. Come and join our MMA team now! Register above for your 2 week trial. 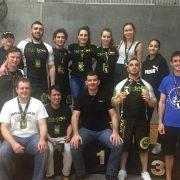 The SPMA Concord BJJ competition team dominated o the 4th June in Sydney at the NSW Machado BJJ State Titles. Our academy of 15 adults and 14 kids won the Adult Male, Adult Female and Kids trophies. I am proud of everyone that competed! Come and join our MMA team now! Click above to register for your 2 week free trial!